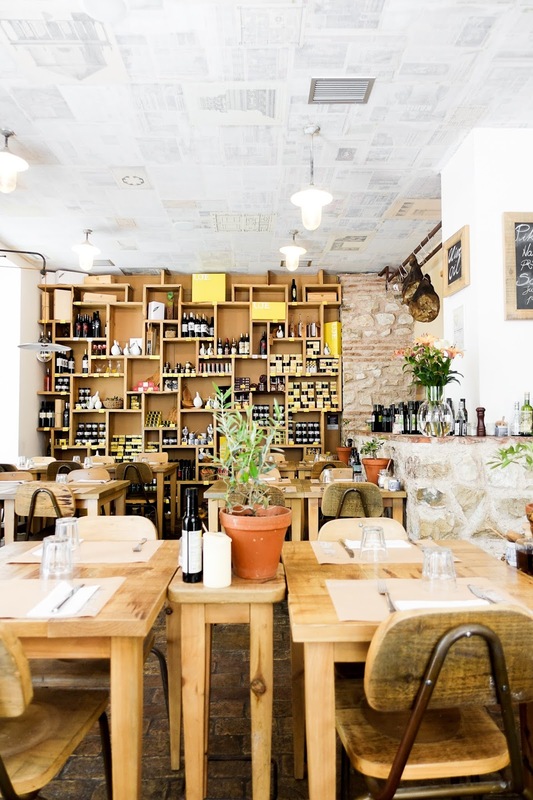 WHERE TO EAT IN CROATIA // 5 MUST-VISIT RESTAURANTS. Wherever we travel, food is among the very first of my thoughts. I just can't help myself. Croatia, like most places in my eyes to be fair, is very much hit or miss when it comes to food. 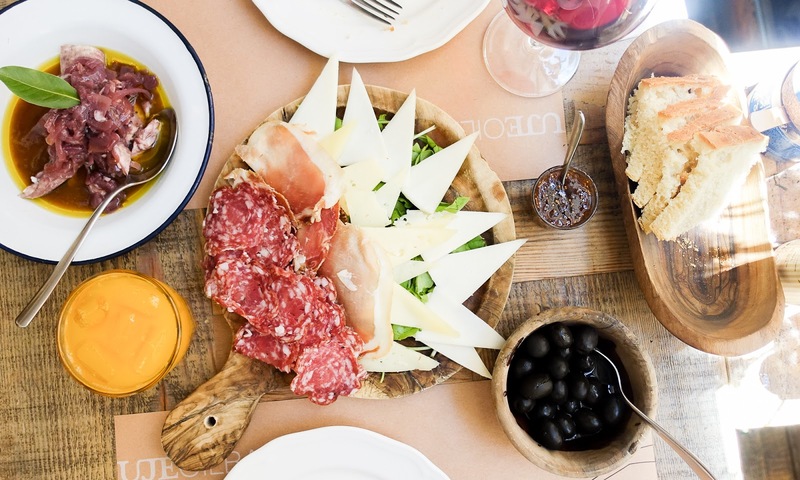 There's amazing seafood to be had, and beautiful, home-style Mediterranean fare, albeit very much mixed in with lacklustre taverns and eateries catering to the mass of tourists that descend come summertime. 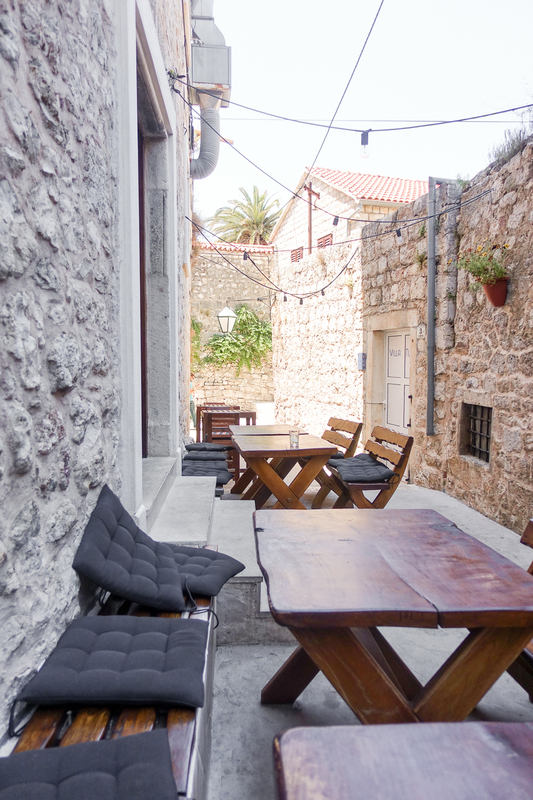 It's easy to get lost in the winding burrows of Diocletian's Palace, Split, but make sure you find Uje, a little corner cafe-come-casual-restaurant that serves the perfect lunch fare. 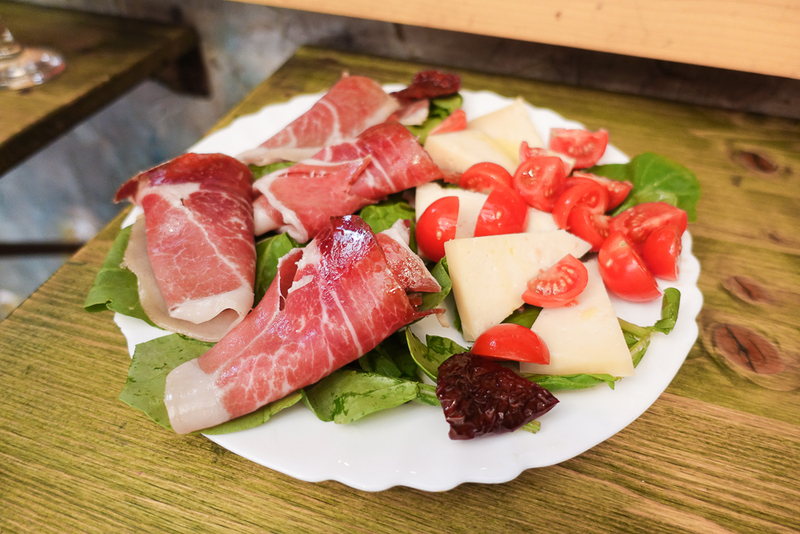 We had one of their specialities, a board of Croatian cold cuts and cheeses, with olives, fig jam, and fish marinated with sweet onions mopped up with lots of fresh bread - the latter was delicious. They've a great list of Croatian wines, including a good selection of dessert wines - my favourite. You can purchase all kinds of little deli items too, flavoured oils, jams and preserves - their vinegar is particularly delicious. 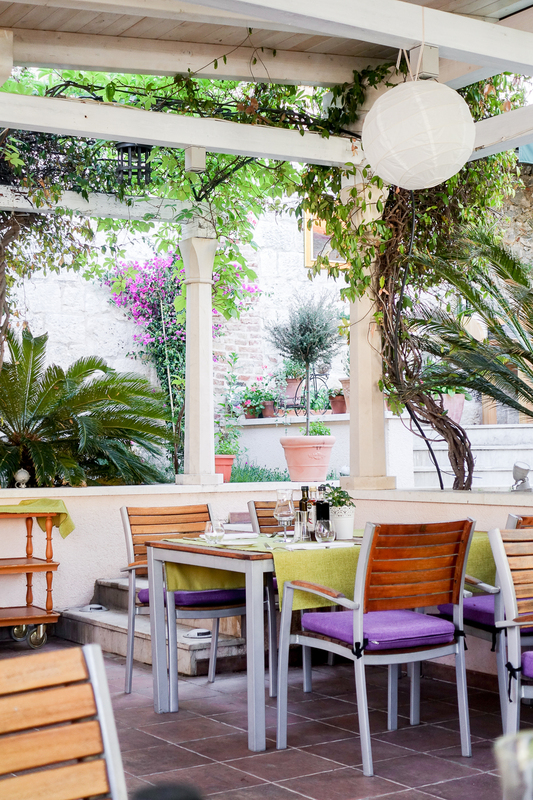 Fig Cafe is tucked down a charming little side street, off the main square. There are only 3 or 4 tables outside but it's well worth the wait as inside is a little dark and dingy. 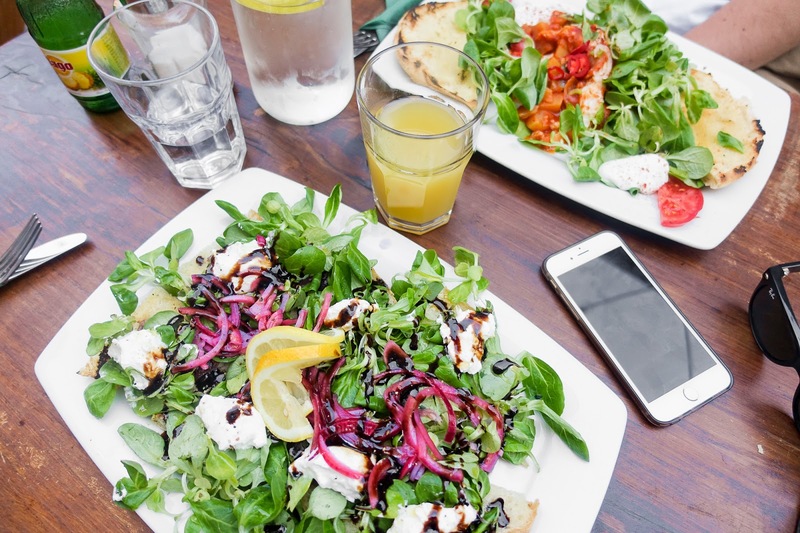 They serve fresh, speedy food, using local ingredients, and it's really delicious. Definitely an excellent option for breakfast or lunch - they're loaded flatbreads are ample portions and really tasty. I opted for their slow-roasted tomato and onion flatbread, which arrived with satisfying dollops of burrata-like fresh Croatian cheese, whilst F had 'spicy eggs', a delicious and warming breakfast dish that he managed to spill down his newly worn, white, linen shirt ;) Both our plates cost around the £6-9 mark. Our mealtime here was by far my favourite. I must say I wasn't expecting too much because 'Park Hvar' sounded like a generic hotel chain in my eyes, but boy, was I pleasantly surprised. 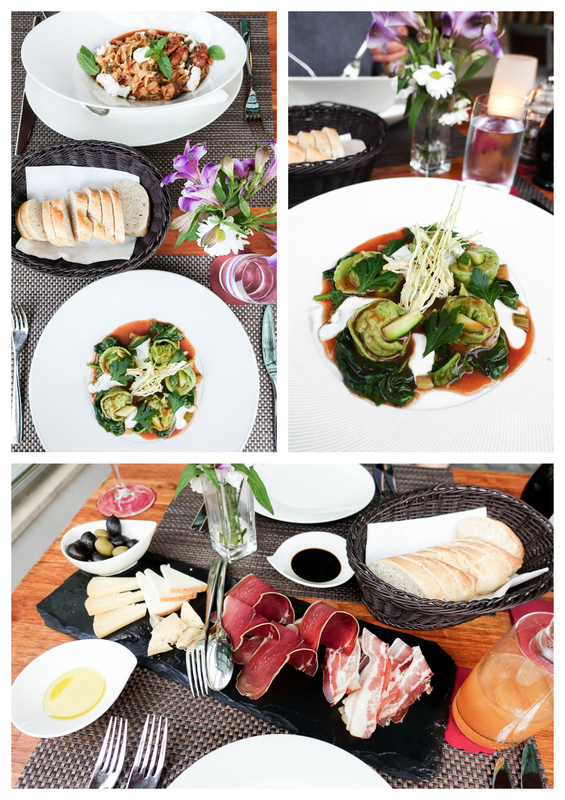 I was immediately sucked in by the beautiful entrance and terrace, adorned with vibrant flowers and greenery, but it was really the food that did the talking. Cooked to order, we had what was described as 'three white fish, boiled with potatoes', but what arrived to our table was so much more. 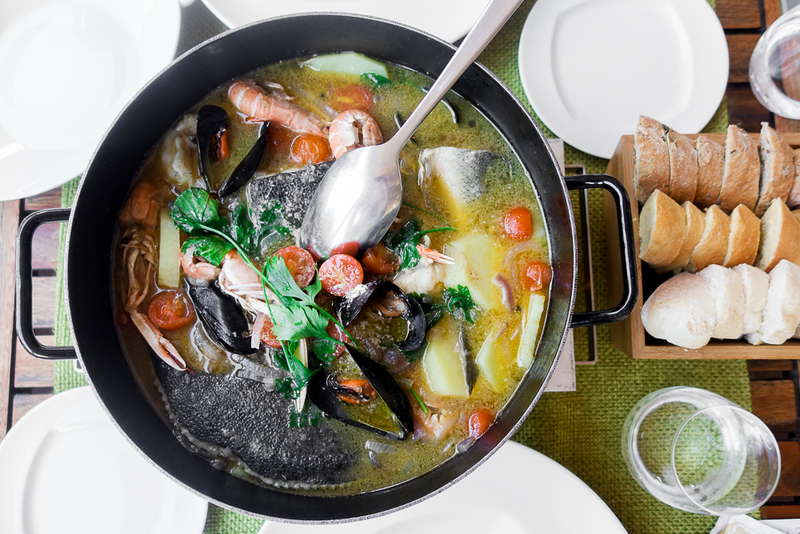 More like a brodet/gregada or fish stew, it was a delicious, naturally sweet broth, containing John Dory, seabass and monkfish, large Adriatic prawns and mussels, and sliced potatoes and cherry toms. I could really talk about this all day. Mm OK maybe a slight exaggeration but definitely for an hour. I would absolutely recommend the shared dishes - the table across got the baked daily fish to share and that looked equally as splendid. By far the best thing we ate on our trip. 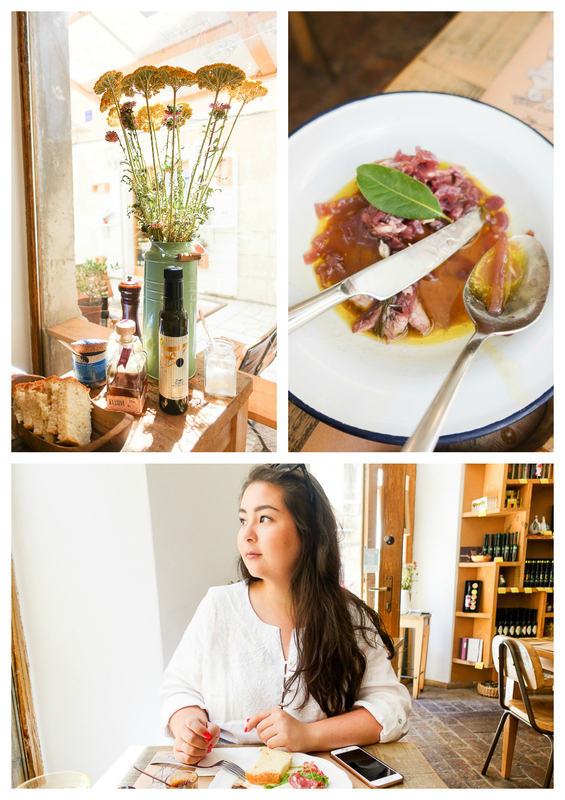 This charming little eatery is the real deal when it comes to unassuming and authentic. The tiny restaurant is mismatched and higgledy-piggledy, and only holds around 12 covers, inside and out, which as I'm sure you can imagine, fill up incredibly quickly (beat the crowds by turning up when they open). 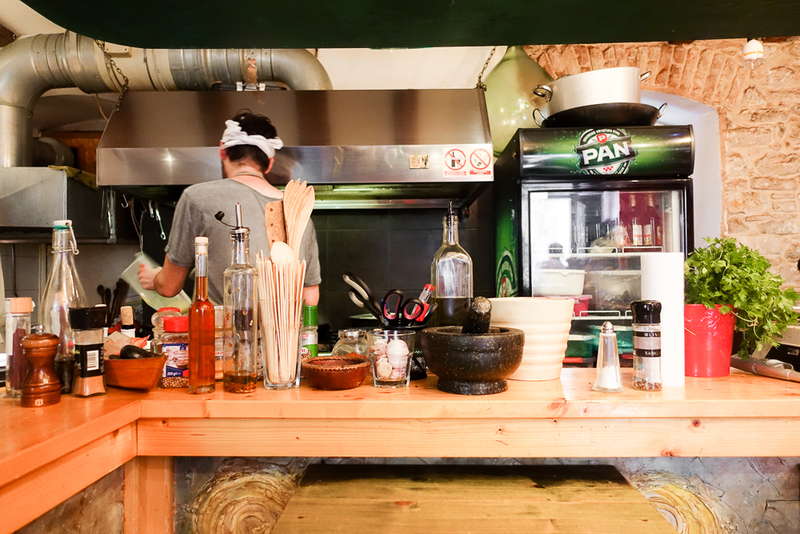 There are only four staff - one front of house, a pots-washer, someone for food prep, and a chef (who looks remarkably like Del Potro), all right in front of you in an open kitchen - it's really very likeable. The handwritten menus change frequently, based on what food is available at the markets, so lots of fresh and seasonal dishes to choose from. 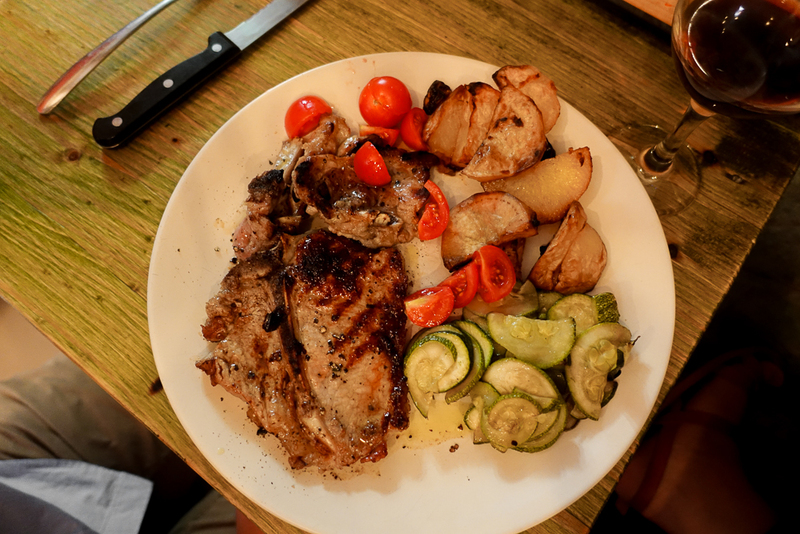 We didn't find service to be particularly slow, even though the guides say otherwise, and the food is delicious, especially if you're into seafood and home-cooked fare. 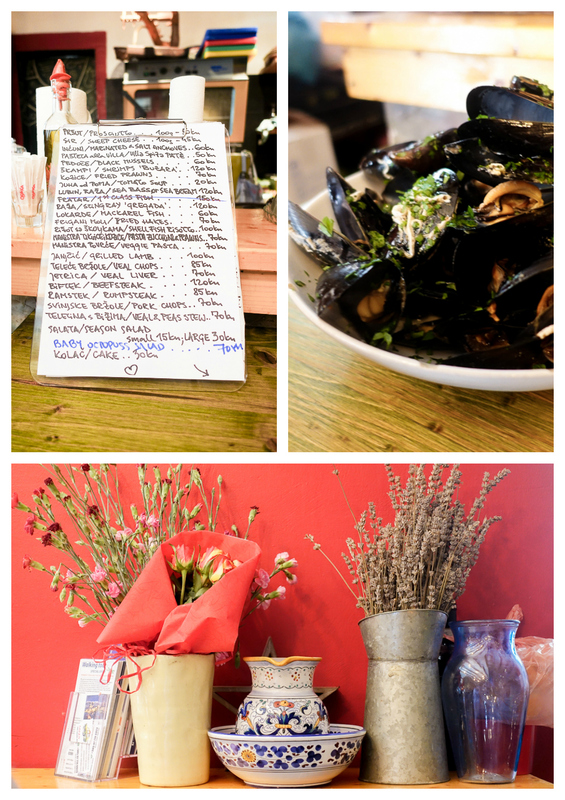 We started off with a plate of cheese and meats, followed by deliciously herby mussels. For mains, Adriatic prawn and courgette pasta in a thick seafood broth, and delicious grilled lamb and veal. Away from the hustle and bustle of tourist-central, Amfora is a quiet little oasis just off Gruz Harbour. Wild turtles/terrapins rustle around in the leaves in the piece of land adjacent to the terrace upstairs and it's just altogether a very sweet setting. We started with meats and cheeses and wine, followed by a delicious lamb pasta, with Pag cheese for F, and prawn tortellini with fennel and a bisque sauce for me - mopped up with bread like the carboholic I am. We finished with a sticky, almost-burnt, bitter tarte tatin. Each main course cost around £13-14 so a perfectly affordable option for dinner. Whilst the above 5 I picked for their food (obviously?! ), I ought to give a couple of honourable mentions for Above 5, Dubrovnik and Lacroma on little Lokrum Island. I loved our visit to Lokrum and Lacroma deserves a mention for it's lovely setting, in peace and quiet. Great squid too. As for Above 5, you've got to experience a rooftop breakfast in the midst of the terracotta roofing of Old Town, it's where I took several of my photo's from this post. Their homemade brioche was pretty delicious too. If you're planning a trip then I hope you find this little guide helpful! 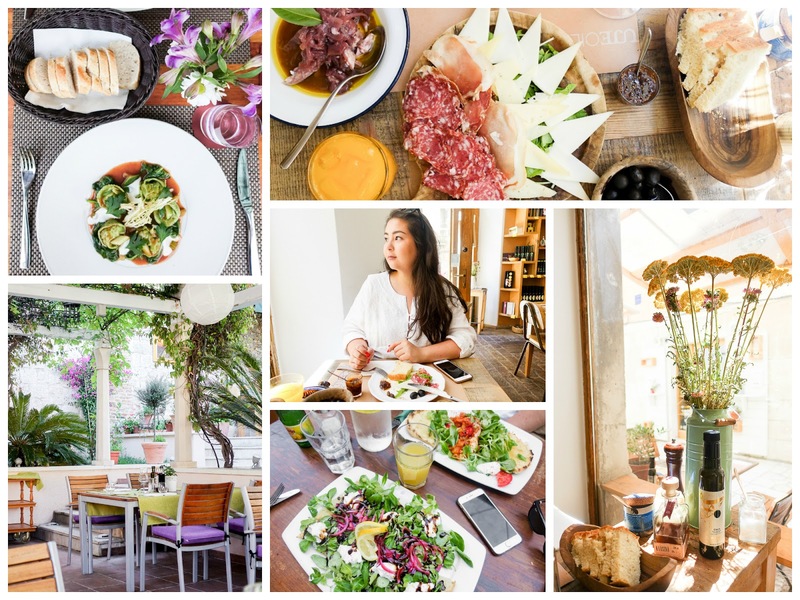 That food looks so delicious and your photography is so stunning! YES! They look super delicious, glad you guys found more good places than bad! I always get worried that I end up with bad holiday food and I get serious FOMO, hahaha.